In today’s modern, fast paced and hectic society, with distractions aplenty, opportunities to gain a sense of calm and peace have become more rare and difficult to obtain. Happiness has become a supreme value, proving that there is an irrefutable correlation between happiness and physical wellbeing, with levels of happiness impacting cardiovascular health, immune systems and life expectancy. 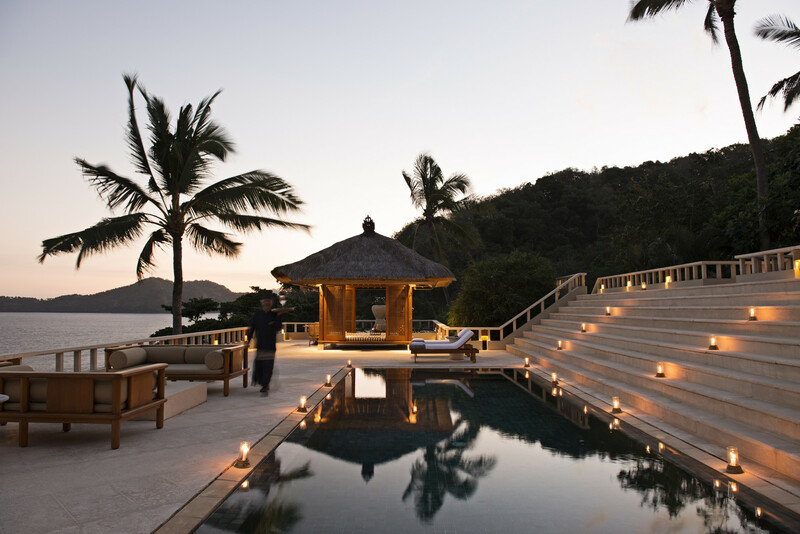 Drawing inspiration from the foundations the brand is built on, including peace, wellness, and escapism, Aman has introduced a series of thoughtful and slightly alternative holistic experiences and therapies for those seeking to re-ground themselves and rediscover their happiness the opportunity to renew their optimism. 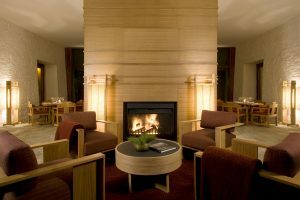 Designed to leave guests feeling sanguine, with a refreshed positive outlook on life, each experience will guide guests back on a path to happiness and take place in environments that naturally lend themselves to healing. Proving the adage that laughter really is the best medicine, Amankila in Bali, offers guests Hasya or laughing Yoga, a practice based on the belief that voluntary laughter provides the same psychological and physiological benefits as spontaneous laughter, strengthening all immune functions, bringing more oxygen to the body and brain, and fostering feelings of positivity. Sessions are offered three times a week and are led by Pak Eka, a natural Hatha and Hasya yoga teacher, and begin with warm-up techniques which include stretching, clapping and body movements (asanas) all of which help break down inhibitions and trigger happy feelings and thoughts. Breathing exercises are then undertaken to prepare the lungs for the activity, and are followed by a series of laughter exercises that combine methods of acting and visualization techniques with playfulness. The session concludes with laughing meditation, a period of unstructured laughter where participants sit or lie down and allow natural laughter to flow from within, which in most cases leads to real and contagious laughter. 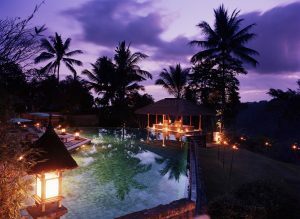 Hasya yoga is available at Amankila three times a week, throughout the year. Until 25 May 2017, drawing inspiration from Bhutan’s measure of prosperity and development through happiness, Amankora is offering the In Pursuit of Happiness programme to facilitate inner healing. This holistic experience immerses guests in the true beauty and nature of Bhutan and takes them on a journey of personal discovery. Sessions include a series of mindful consultations and spiritual healing treatments with visiting specialists at two of the resort’s lodges in Thimphu and Paro. Oracle reading restores the free flow of energy through the body and encourage a deep sense of peace and rejuvenation; intuitive reading helps release negative attachments and create personal optimisation to achieve positive change; mediation; yoga and reconnective healing are all part of this very special and unique programme which will leave guests with a deep sense of calm, emotional positivity, and the ability to cultivate a happier stance on life. The programme can be tailor-made to fit within guests’ desired dates and duration. Negative emotions have the ability to foster a state of stress and cause harm not only to mental wellbeing, but physical health as well. Optimal holistic wellness cannot be achieved whilst these health harming stress hormones keep the body physically and mentally in fight mode. Recognising this, Amankora, located in the land of happiness, will offer the Energetic Emotional Pain Release experience with renowned energy healer and hypnotherapist Tim Stoneman. Designed to heal pain and distress caused from past traumas and release emotional attachments, this experience uses powerful and profound meditation techniques that work with the subconscious mind to promote an overall improved sense of happiness, mental clarity and peace of mind. 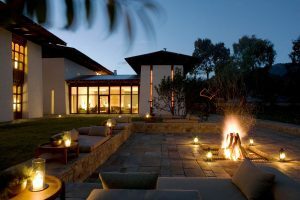 Specialising in stress-reduction, sleep management, and improving levels of happiness, Tim will also offer life-transforming hypnotherapy sessions to Amankora guests. Known to calm the brain’s level of activity down to healthy levels, hypnosis allows harmful, negative beliefs and behaviour patterns to be released making room for new, positive, beneficial ones to take in their place. Effective with everything from depression through to relationships, phobias, weight management and smoking, hypnotherapy is the most powerful and gentle way known to humankind to make deliberate, beneficial life changes. The Energetic Emotional Pain Release experience will be available between 16th October and 30th November 2017. 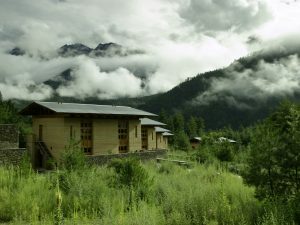 Led by His Eminence the 9th Neyphug Trulku Rinpoche of Bhutan’s fabled Neyphug Monastery, the Meaning of Life retreat at Amankora will encompass eight nights across four of the resort’s lodges and will allow guests to be fully immersed in ancient wisdom to awaken and rejuvenate the exhausted mind. This highly revered Buddhist reincarnate will lead lectures, mediation, yoga and temple visits, whilst simplifying the most complex of Buddhist philosophies with the objective of allowing guests to implement them in their everyday lives. 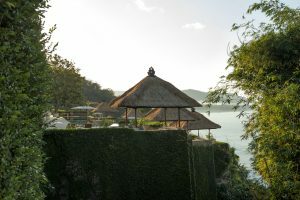 The Meaning of Life retreat is available from 23-31 May and from 10-18 September and will include one 60-minute spa treatment per person as well as several yoga, meditation and lecture sessions. A restful night’s sleep is fundamental to an overall feeling of happiness and wellness. At Amanyara, Aman’s soothing retreat on the rocky coves of the Providenciales, the Caribbean Stars Lullaby is the ideal therapy for those who want to improve their sleep habits and this essential body function. Taking place at the resort’s spa or in the privacy of guests’ pavilion, the experience is guided by an aqua therapist who encourages guests to completely surrender to the element of water while floating under the stars and reconnecting with nature. Incorporating the principles of Zen Shiatsu, guests are gently aligned through a series of rotational movements, muscle stretching and reflexology carried out on the feet. Inside this receptive space, the use of sound therapy with Tibetan singing bowls, complements the treatment and creates a blend of vibrations that resonate through the body, deepening the sense of calm. We are more globally connected than ever before and mobile technology allows for much flexibility, from staying in touch with far flung relatives to running a business on the move. However with this constant connection, also comes the inability to ‘switch off’ and distractions from the important things in life. 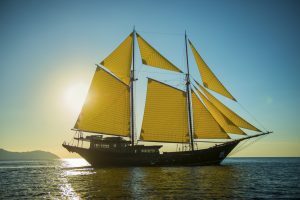 Amandira and Amanikan, Aman’s custom-built traditional Indonesian phinisi cruisers who expedition through the Indonesian archipelago to Raja Ampat and Komodo National Park, journey to some of the most remote parts of this wonderland of islands. Surrounded by extreme natural beauty and dotted with deserted private islands which guests are able to explore, many of these destinations have little or no connectivity, allowing guests to be forced into a digital detox, enabling them to truly unwind, disconnect, and reground themselves. 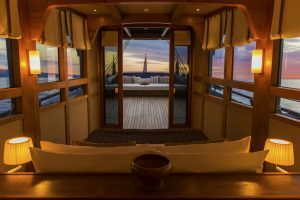 Itineraries aboard both boats can be completely tailored to the interests and desires of the guests, who can charter these extraordinary vessels separately or in tandem as their own personal guides. Dining under the stars, exploring the region’s incredible diversity of marine life, and being surrounded by nothing but azure waters and the sounds of dolphins leading the way, makes for the most natural way to rediscovering more mindful and balanced lives.